USTA Serves is the National Charitable Foundation of the USTA. It is a not-for-profit organization that is dedicated to improving the quality of life among our nation’s youth. USTA Serves mission is to support, monitor and promote programs that enhance the lives of underserved youth through the integration of tennis and education. A goal of USTA Serves is to encourage children to pursue their goals and highest dreams by succeeding in school and becoming responsible citizens. The deadline for submission of scholarship applications is [postmarked by] February 4, 2011. Applications must be mailed directly to USTA Section offices (Click here for Section information). Applicants may apply for all of the indicated scholarships; however, individuals will not be awarded more than one scholarship. All applications and submitted materials become the property of USTA Serves and will not be returned. 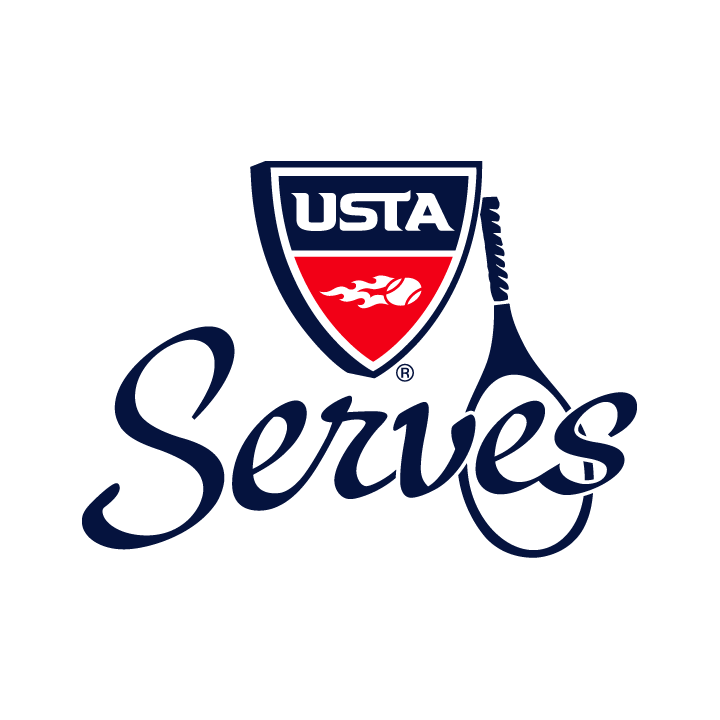 Recipients will be notified of acceptance in writing and will be required to return an official acceptance form, which will be provided by USTA Serves. Additionally, a list of winning recipients will be posted on the USTA Serves website www.ustaserves.com no later than June 15, 2011. Each recipient of a USTA Serves scholarship is expected to enroll as a full-time undergraduate student as defined by his/her undergraduate institution, no later than the opening fall semester or term after notice of selection for the scholarship. Applicants receiving full grant and aid scholarships in the sport of tennis from their respective schools are not eligible for a USTA Serves scholarship. If circumstances arise whereby an award recipient is unable to enroll or is unable to use the award in the opening fall semester or term after notice of his/her selection, the recipient must submit a written request for deferment. Each request will be reviewed and determined on a case-by-case basis. Failure of a recipient to obtain approval from the USTA Serves to change or delay the use of the scholarship will lead to forfeiture of his/her right to the scholarship. Scholarships that are payable over four years require the completion of a verification form, which will be provided by USTA Serves, attesting that they are enrolled in good standing. A copy of their college transcript must also be provided. Should a scholarship recipient wish to transfer to another college or university, a written request must be submitted to the USTA Serves Scholarship Committee, along with a current transcript confirming that they are in good standing. Each request will be reviewed and determined on a case-by-case basis. Applicants will assemble and submit, in one envelope, the application, required supporting documentation, and their photograph. All recommendations and transcripts must be submitted in sealed envelopes with the endorser’s or guidance counselor’s signature over the seal. Telephone and/or in-person interviews may be conducted as part of USTA Serves’ final selection process. A recommendation from an individual of the applicant’s choice. A current photograph of the applicant. Please click here for the required qualifications for each Scholarship. This scholarship is named in honor of the late Marian Wood Baird, who had been recognized by the USTA for over 40 years of volunteer service. Honors bestowed on Mrs. Baird included her induction into the Western Tennis Association Hall of Fame in 1994, the 1993 USTA Seniors’ Service Award, and the 1979 USTA Service Bowl. The scholarship is generously supported by the Baird Family, and it is their wish that the recipient maintain contact with them. The Marian Wood Baird Scholarship is available to high school seniors who have excelled academically, demonstrated achievements in leadership, and participated extensively in an organized community tennis program (such as USTA School Tennis, USTA National Junior Tennis League (NJTL), USTA Team Tennis, or USTA High Performance or other such qualified programs as determined by the Scholarship Committee). Applicants must demonstrate sportsmanship on and off the court. A scholarship up to $15,000 will be awarded over four years to a student who is entering a four-year college or university program. The recipient of the Marian Wood Baird Scholarship is eligible to receive $3,750 per year for a total of up to $15,000 to cover costs of tuition, room and board and educational materials. The scholarship will be paid directly to the college or university in which the student is enrolled and is disbursed annually based on the recipient's standing with his/her college. Dwight Filley Davis began playing tennis at the age of 15 in 1894. In 1900, the year he graduated from college, Mr. Davis purchased a 217-troy ounce silver bowl as a prize for an international lawn tennis competition. This was the birth of the Davis Cup. Mr. Davis became president of the U.S. Lawn Tennis Association in 1923. This scholarship was created by the late Dwight F. Davis, III, grandson of Dwight Filley Davis, and is now generously supported by the Davis family. It is their wish that the recipients maintain contact with them. The Dwight F. Davis Memorial Scholarship is available to high school seniors who have performed with distinction and actively participated in extracurricular activities, community service, and an organized tennis program. A $7,500 scholarship will be awarded over four years to two students who are entering a four-year college or university program. The recipients of the Dwight F. Davis Memorial Scholarship are eligible to receive $1,875 per year for a total of up to $7,500 to cover costs of tuition, room and board and educational materials. The scholarship will be paid directly to the college or university in which the student is enrolled and is disbursed annually based on the recipient's standing with his/her college. This scholarship was named in memory of Dwight A. Mosley, the first African American elected to the USTA Board of Directors. The scholarship was created with input from the USTA Multicultural Participation Committee and supports the Level One Priority of Diversity within the USTA. The Dwight Mosley Scholarship is available to USTA ranked high school seniors of ethnically diverse heritage who have excelled academically and participated extensively in an organized community tennis program. Applicants must demonstrate sportsmanship on and off the court. A $10,000 scholarship will be awarded over four years to one male and one female student of diverse ethnic backgrounds who are entering a four-year college or university program. The recipients of the Dwight Mosley Scholarship are eligible to receive $2,500 per year for a total of up to $10,000 to cover costs of tuition, room and board and educational materials. The scholarship will be paid directly to the college or university in which the student is enrolled and is disbursed annually based on the recipient's standing with his/her college. USTA Servesawards College Educational Scholarships annually to high school seniors who have excelled academically, demonstrated community service and participated in an organized tennis program. This scholarship is partially supported by the Ambrose Monell Foundation. A $6,000 scholarship will be awarded over four years to students entering a two or four-year college or university. The recipients of the USTA Serves College Education Scholarship are eligible to receive $1,500 per year for a total of up to $6,000 to cover costs of tuition, room and board and educational materials. The scholarship will be paid directly to the college or university in which the student is enrolled and is disbursed annually based on the recipient’s standing with his/her college. If a recipient of a USTA Serves scholarship is enrolling in a two-year community college program they will be awarded $3,000 in two payments during the first and second years. This scholarship is named in memory of Eve Kraft of Princeton, New Jersey, a tennis pioneer who introduced thousands of young people to the game of tennis, particularly in disadvantaged communities. Ms. Kraft became the first-ever women’s varsity tennis coach at Princeton in 1971 and led the team to an undefeated record during her three-year tenure. She later founded and was director of the USTA Center for Education and Recreational Tennis in Princeton. The scholarship is partially supported by the Kraft family. The Eve Kraft Education & College Scholarship is available to two high school seniors, one male and one female, who have excelled academically, demonstrated community service, played tennis in an organized program and who reside in an economically disadvantaged community. A $2,500 scholarship will be awarded to one male and one female student entering a four-year college or university program. The recipients of the Even Kraft Education & College Scholarship are eligible to receive a one-time $2,500 award. The scholarship will be paid directly to the college or university in which the student is enrolled. USTA Serveshas established a college textbook scholarship which provides a one-time award to assist students in purchasing textbooks or supplies. A $1,000 scholarship will be awarded to students entering a two or four-year college or university program. The recipients of the College Textbook Scholarship are eligible to receive a one-time $1000 award. The scholarship will be paid directly to the college or university bookstore in which the student is enrolled at the beginning of the academic year. USTA Serves is providing up to 20 summer-work positions at USTA National and our 17 Sectional offices. Students and sectional offices will work out a mutually agreeable schedule not to exceed 8 weeks of work. Students will have the opportunity for a paid, meaningful work experience that combines their interest in tennis, proven academic achievement and community service. The intent is to provide a strong foundation for college and career success. Summer of Service will be offered to students who meet the criteria for financial need, show strong character and a drive for achievement. Each salary will be negotiated on a person-by-person basis with the section or headquarters’ liaison. There is no guarantee each USTA Section will participate in this program. Click here to download the 2011 USTA Serves College Scholarship Application. For instructions including the Qualifications Chart - Click here. Congratulations to the 2010 USTA Serve's College Scholarship Recipients.